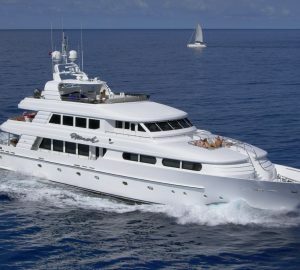 PIXEL was designed by Tom Fexas and built by the Hong Kong based shipyard Cheoy Lee in 1992, she underwent a refit in 2003 and 2010. 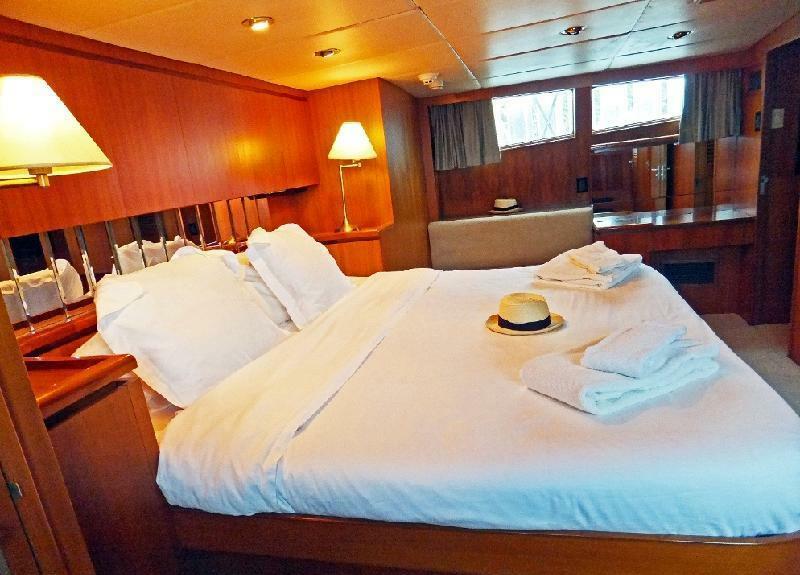 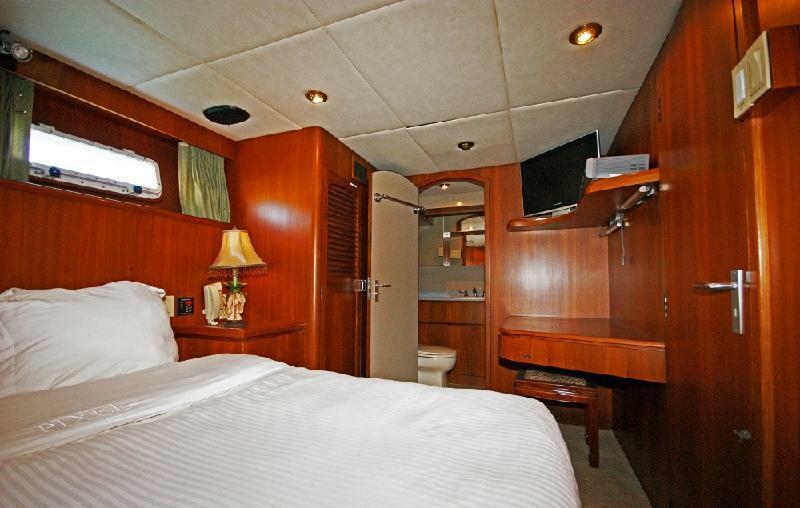 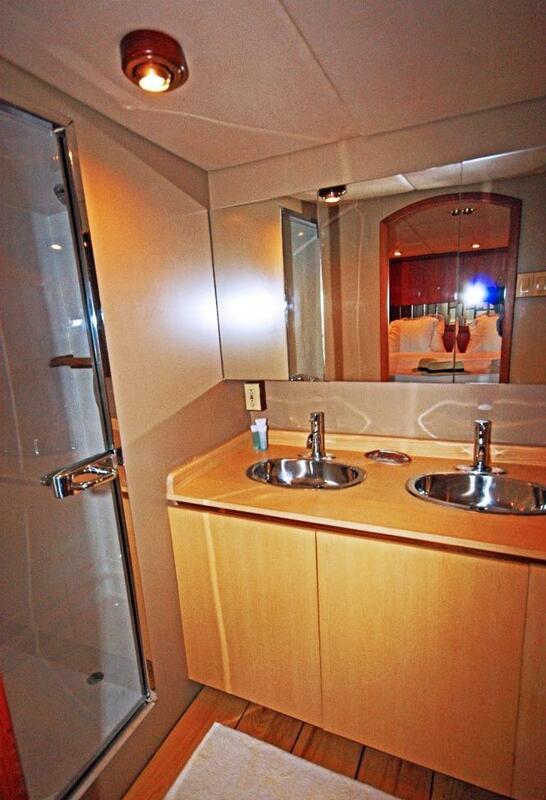 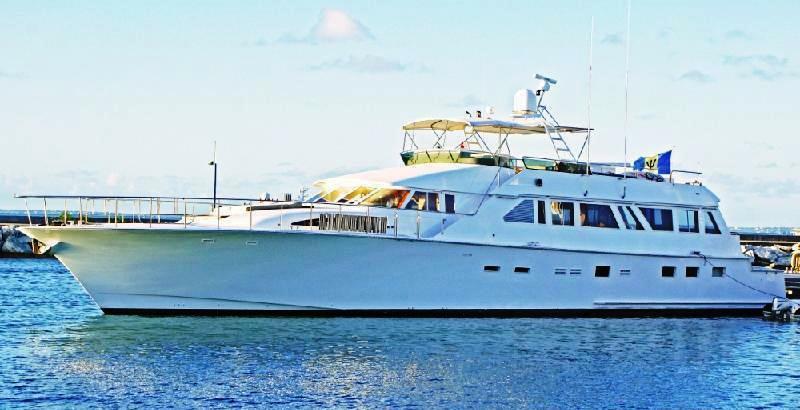 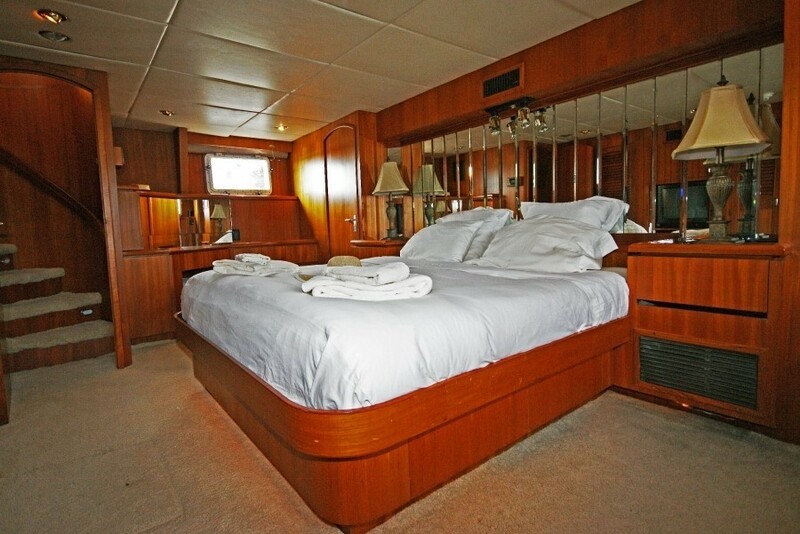 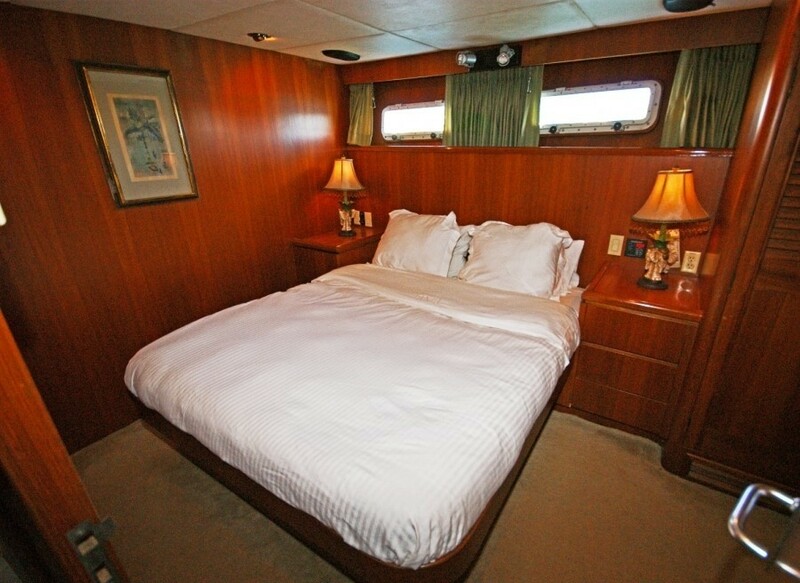 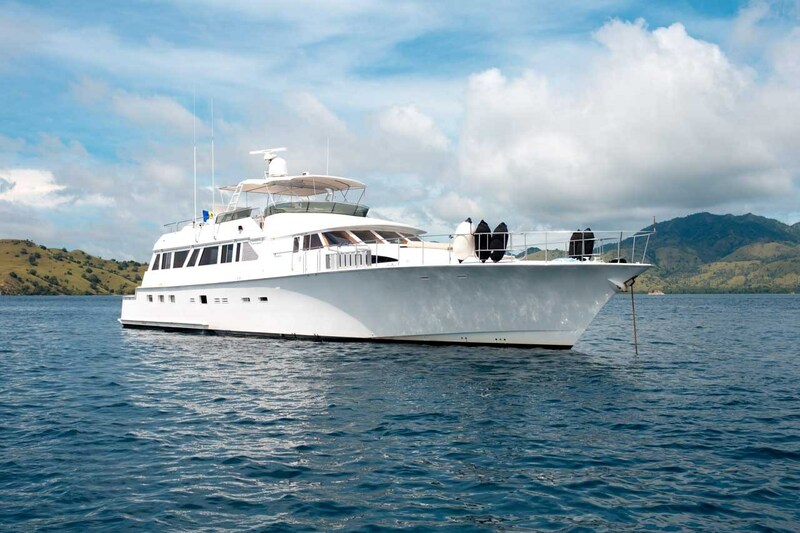 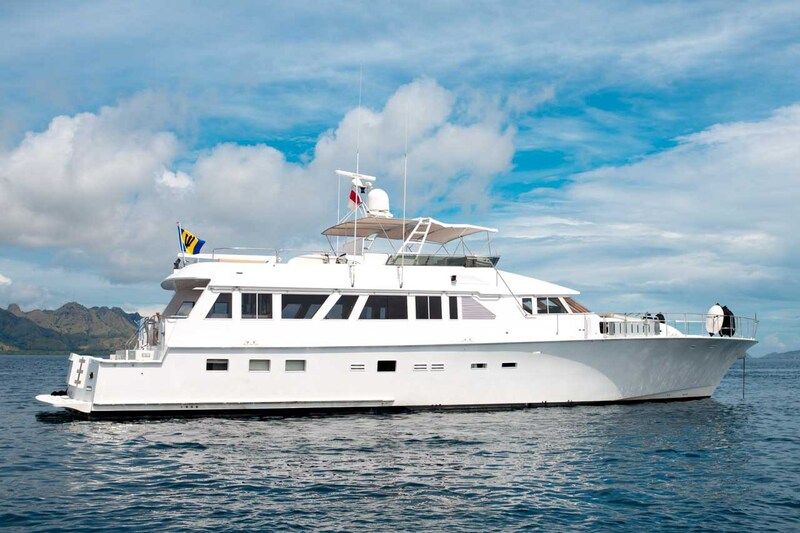 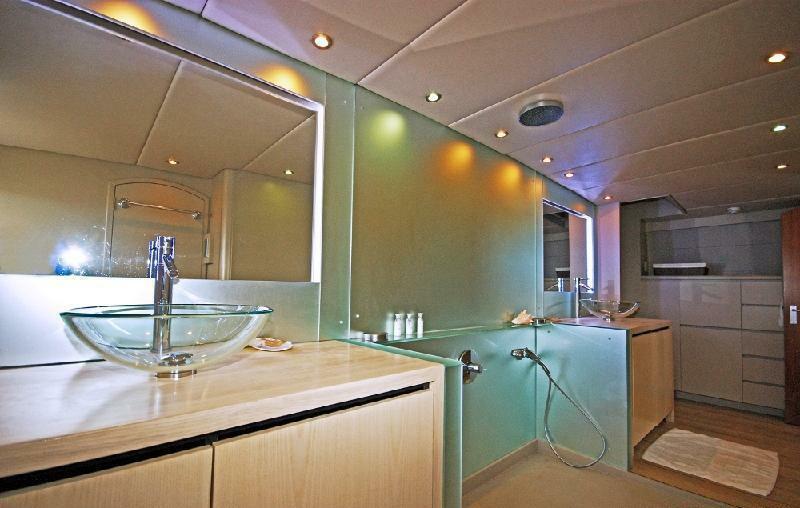 She measures 28m (92ft) and offers accommodation for up to 8 guests in 4 en-suite deluxe cabins. 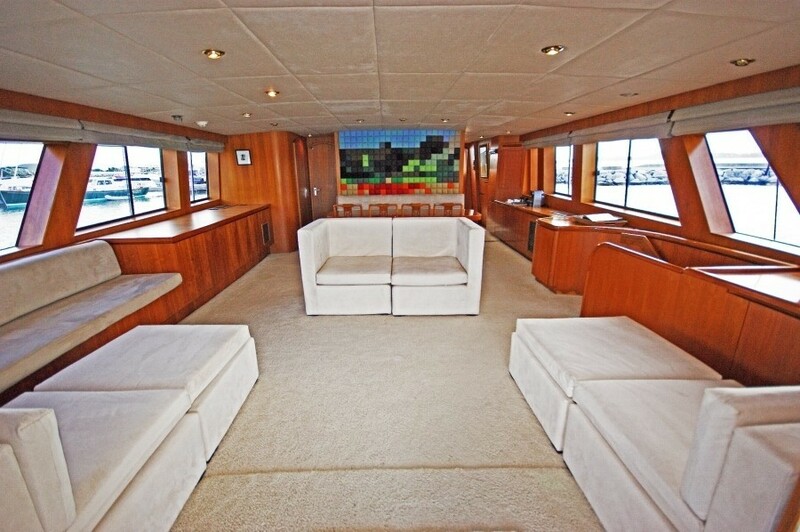 PIXEL enjoys a contemporary interior with a minimalistic elegance. 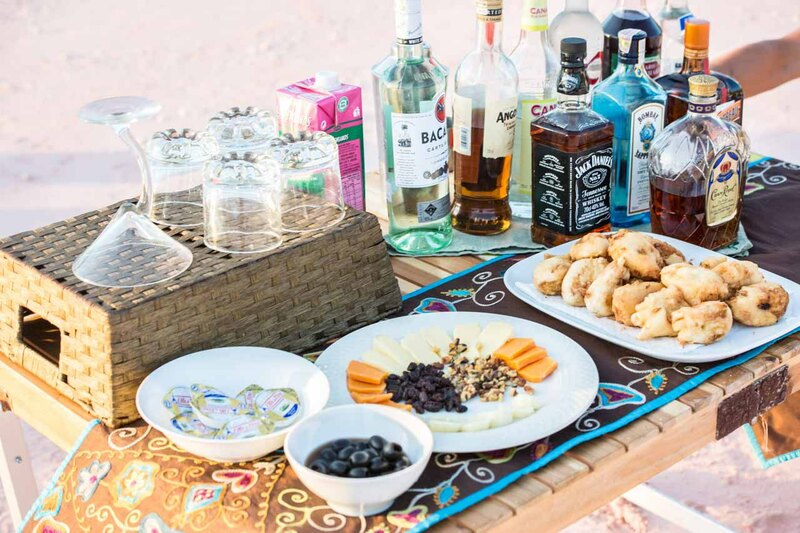 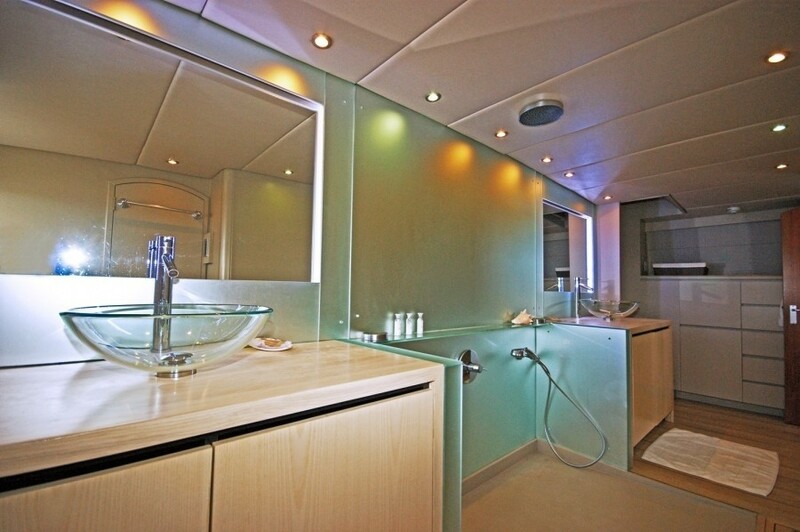 The main salon and dining are open plan, allowing for versatile uses from intimate social gatherings, to cocktail entertaining. 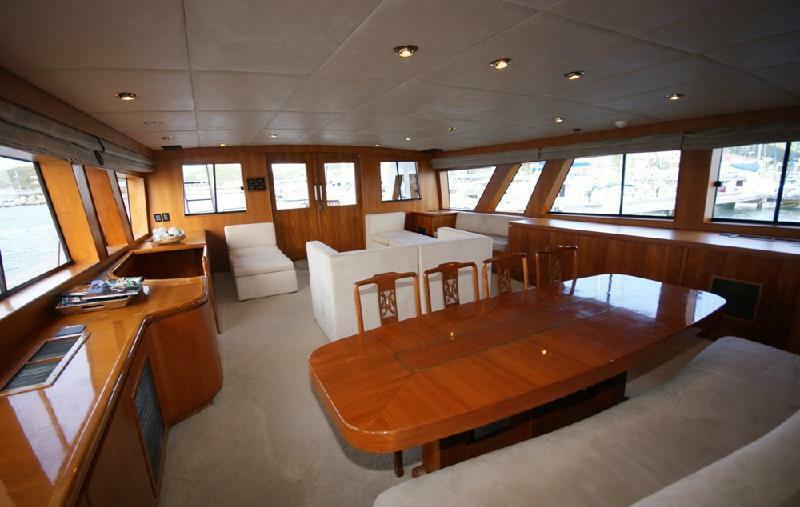 The lounge features crisp white soft furnishings, coffee table and neutral carpeting. 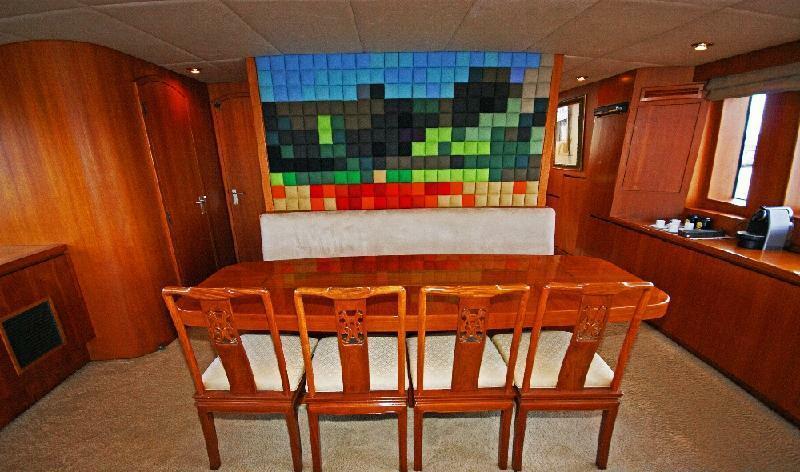 Forward, the formal dining area seats 8 guests easily. 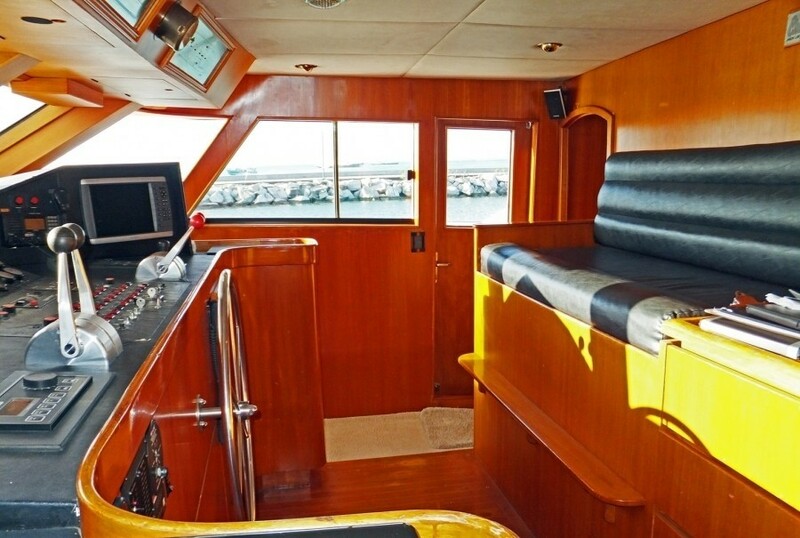 Panoramic windows provide idyllic views and plenty of natural light. 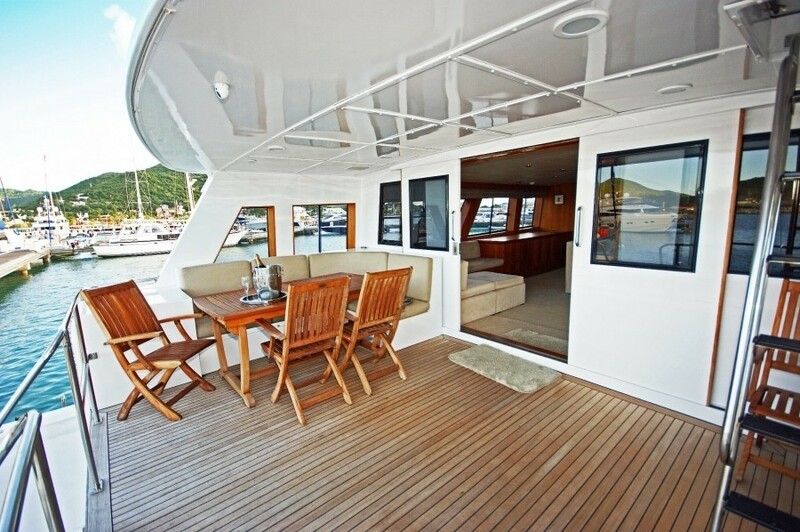 The exterior living areas aboard PIXEL are superb. 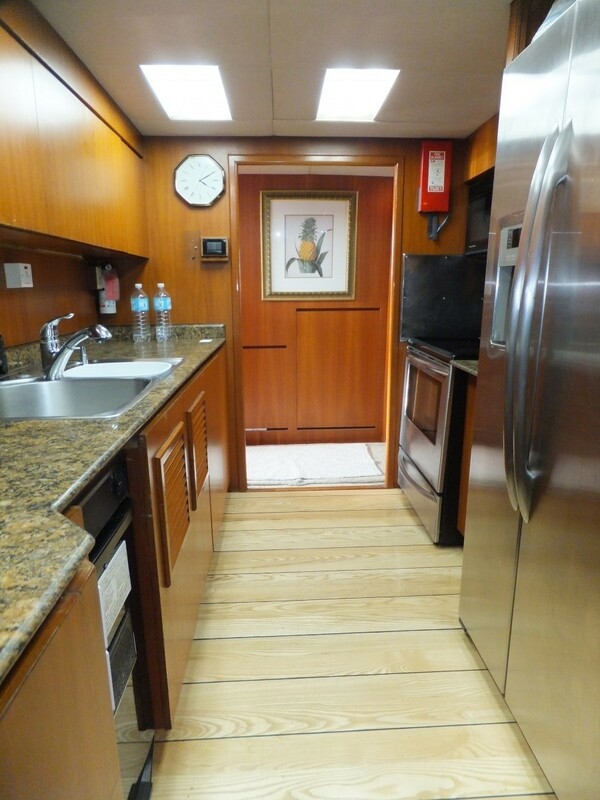 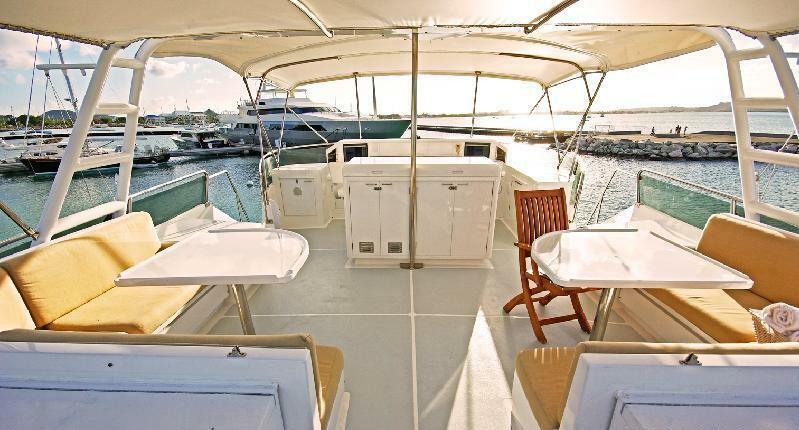 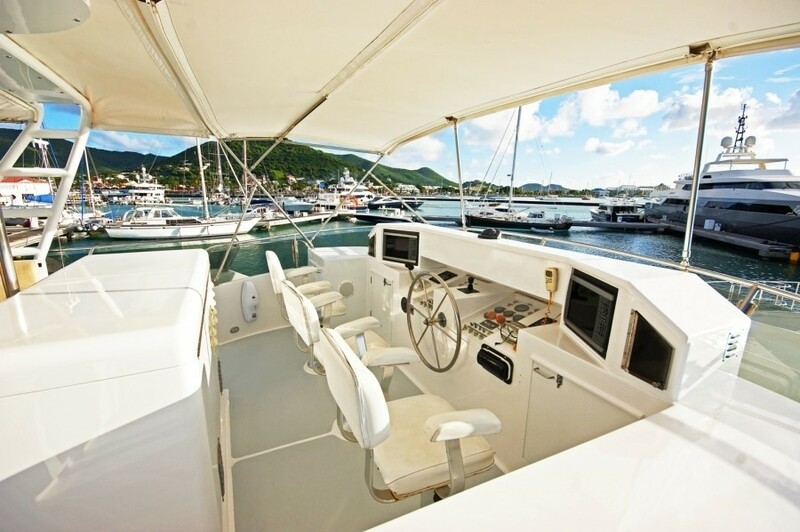 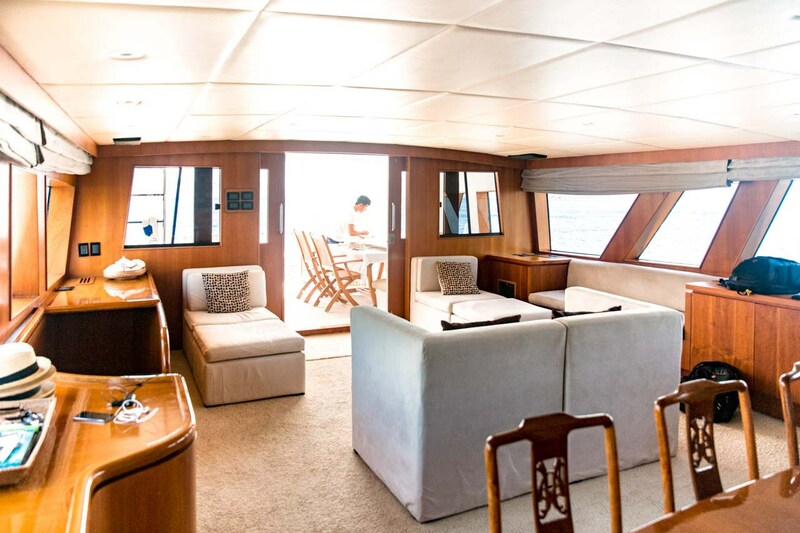 The aft deck is shaded and offers an alfresco dining option, a second cockpit is slightly lower and perfect for fishing from. 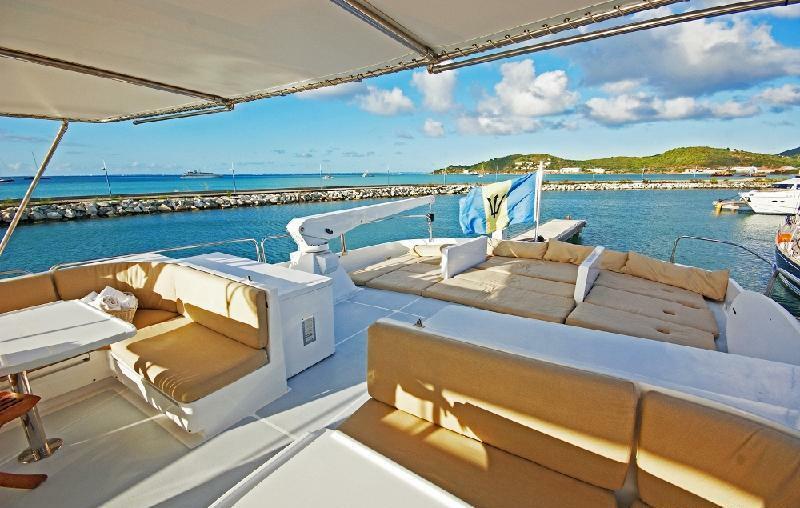 For the active in the group, the extended swim platform makes use of the water toys effortless. 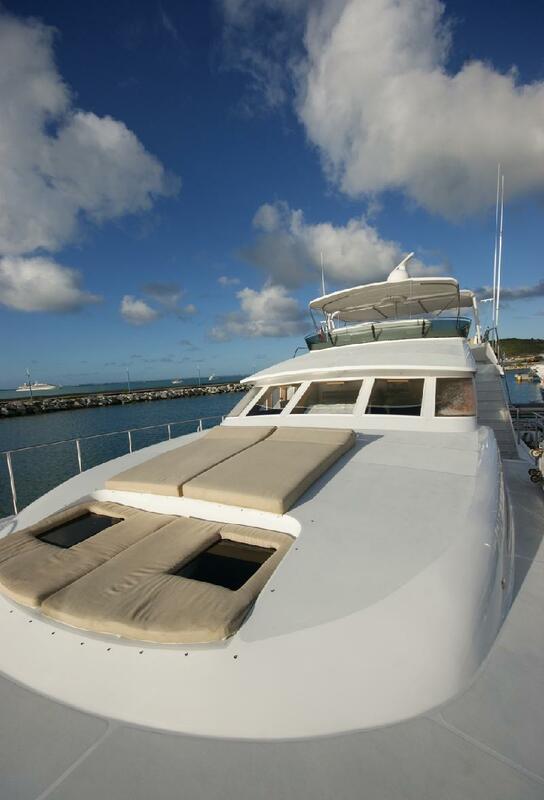 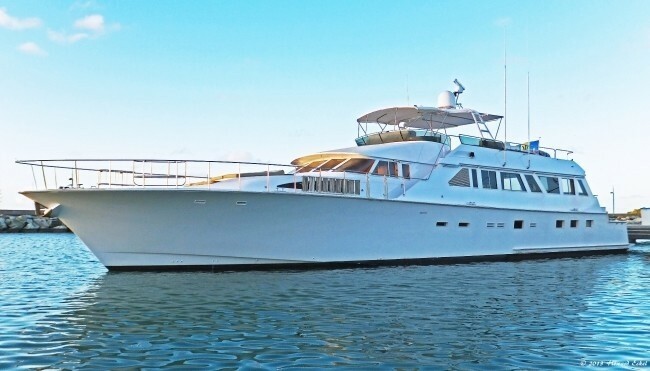 Sun worshipers will enjoy the generous foredeck complete with sunpads and seating, or take advantage of the spacious sundeck, offering a large sunpad, alfresco dining, additional seating and even co-pilot seats. 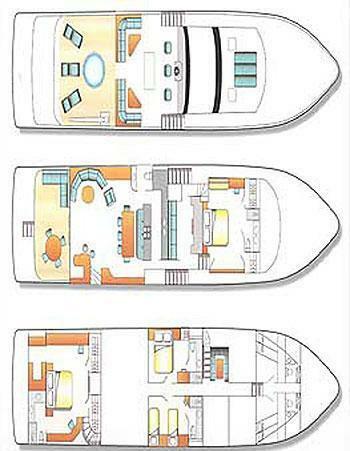 PIXEL is crewed by a professional crew of 4. 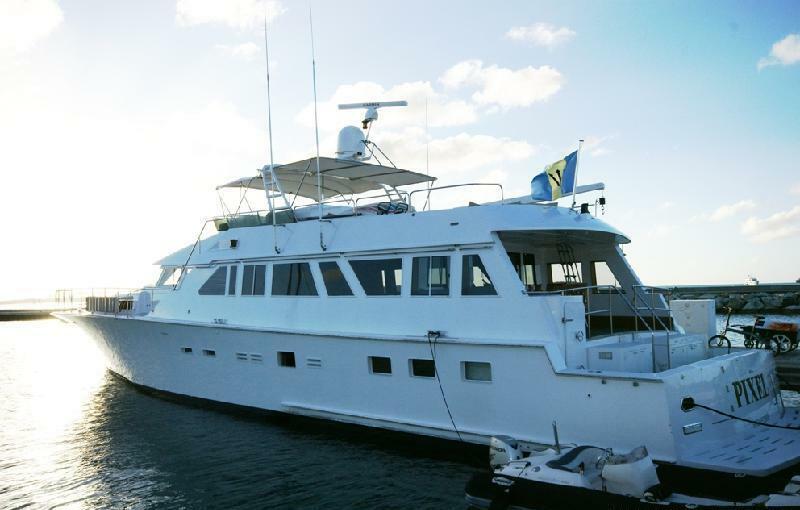 She is powered by 2 CAT 1050hp engines and is capable of speeds of 10 – 19 knots. 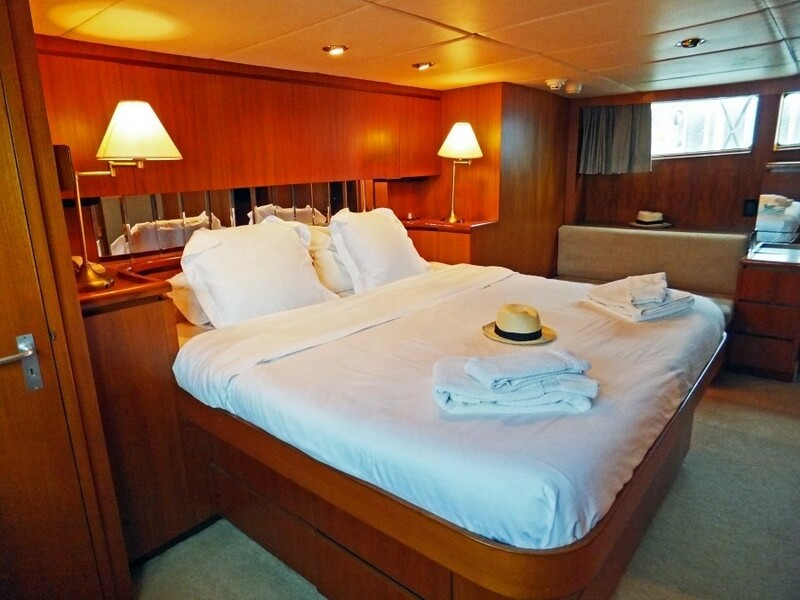 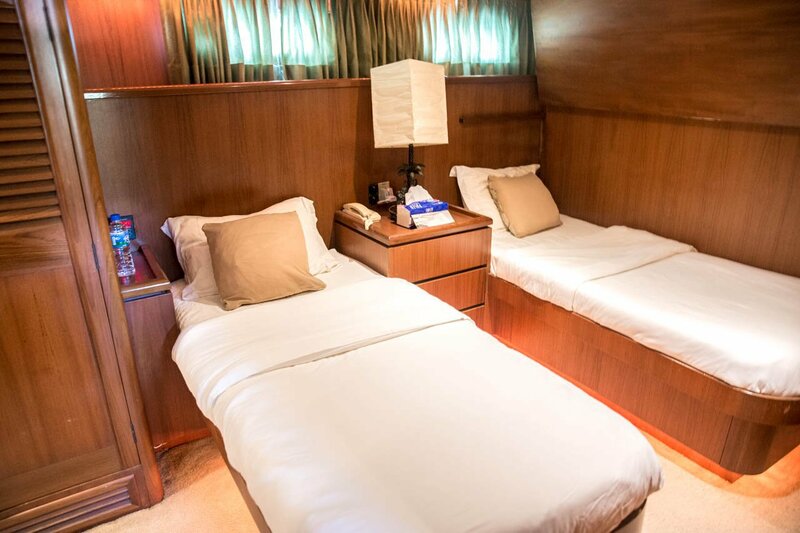 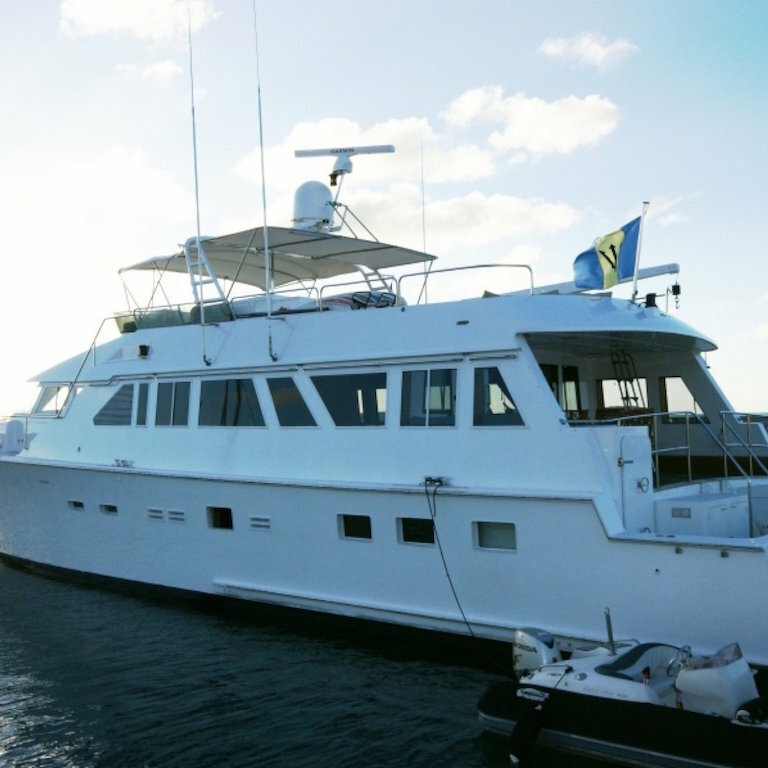 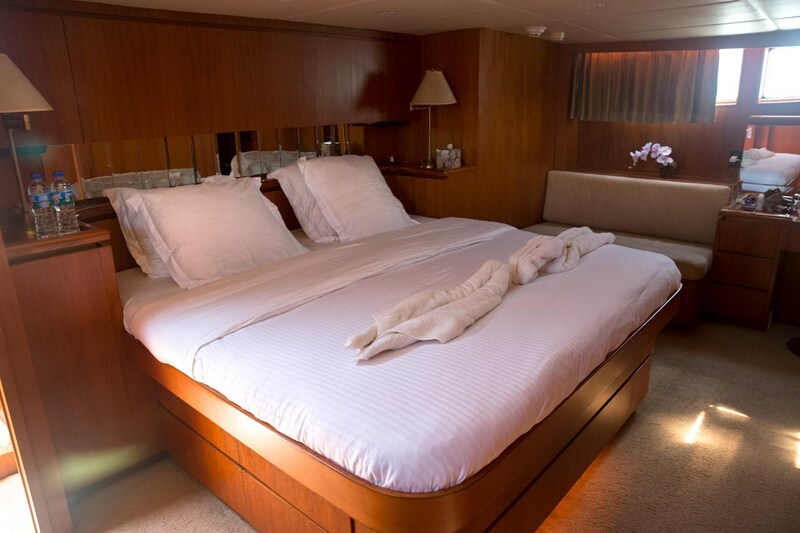 PIXEL offers accommodation for up to 8 charter guests in 4 cabins, a master cabin is on the main deck forward of the salon and boasts a full beam layout, king size bed, sofa, vanity and en-suite facilities. 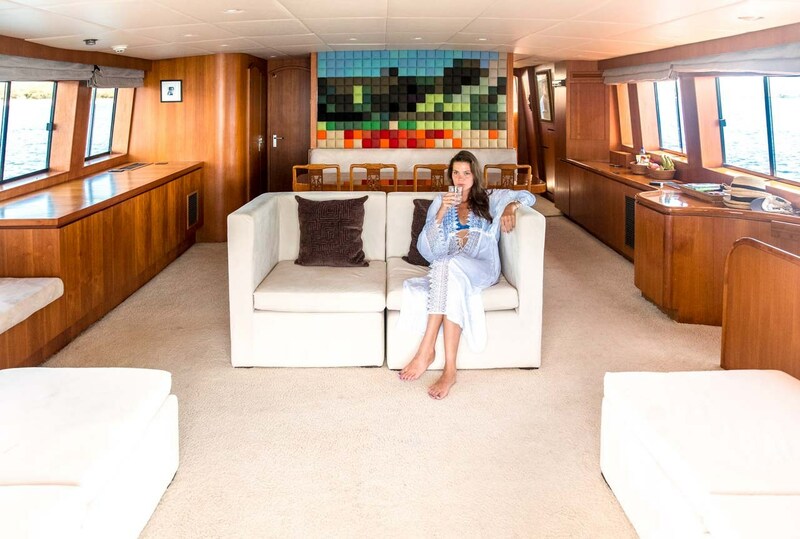 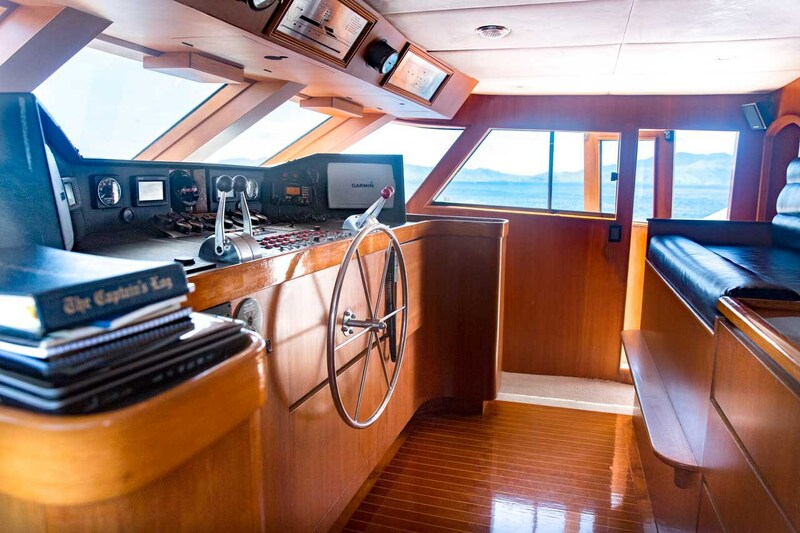 Below decks, the Caribbean charter yacht PIXEL has a further master cabin aft and full beam of the yacht with a king size bed, private office and spacious en-suite facilities. 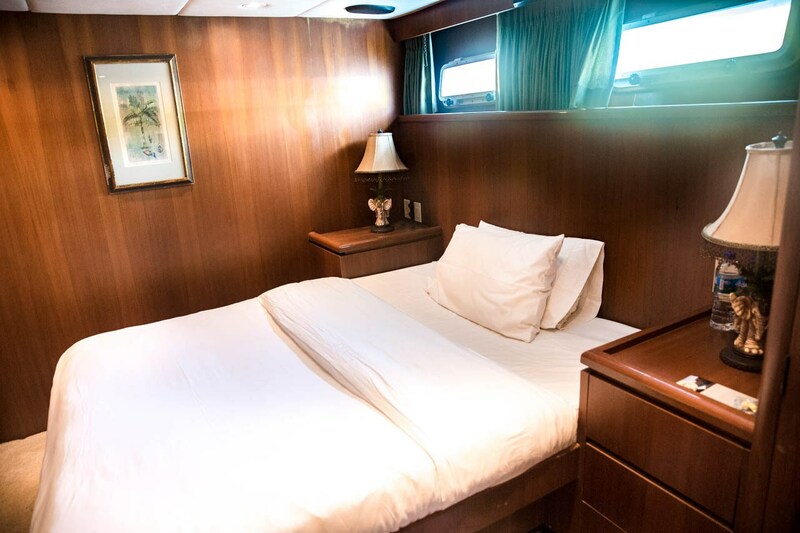 She offers 2 additional en-suite guest cabins below decks, one with a double bed, the other, 2 single side by side beds and an upper Pullman berth. 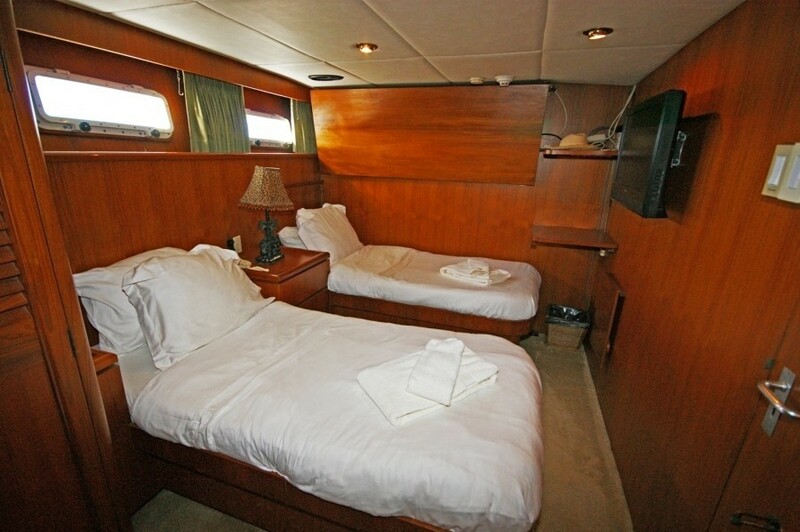 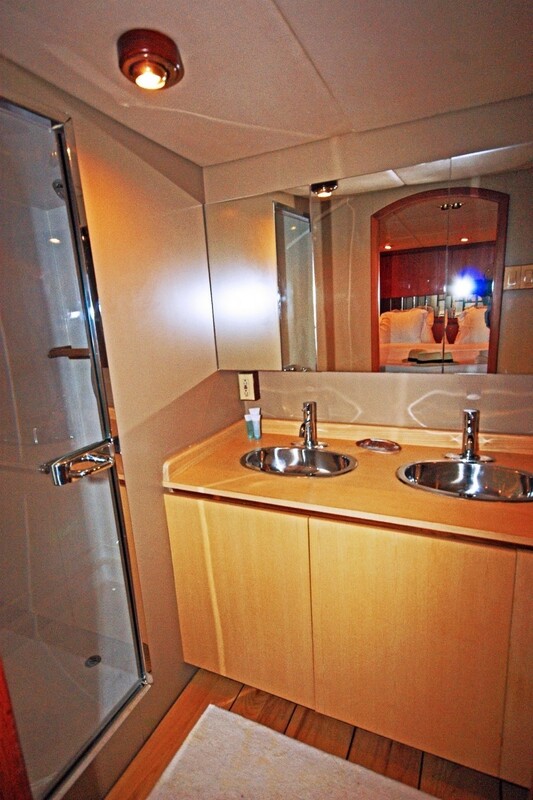 All 4 cabins feature TV/DVD entertainment. 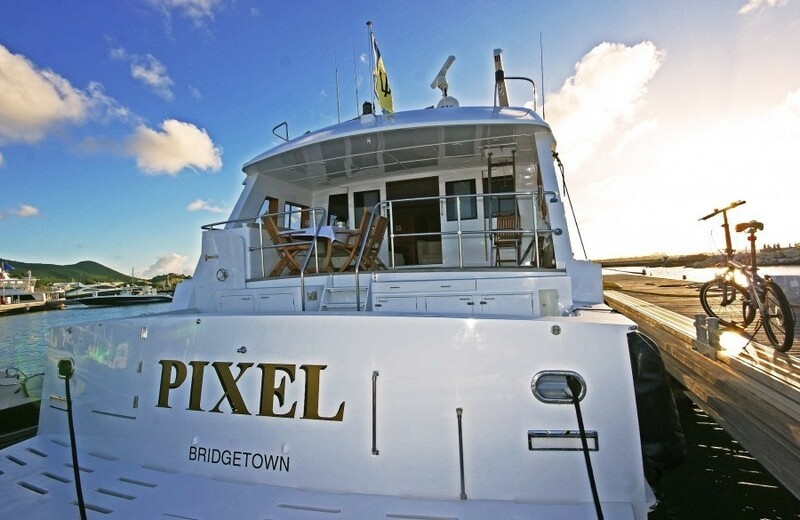 The PIXEL yacht has the following: a 4.5m (15ft) tender with 50HP engine, Knee board, Wake board, Towing tube, Floating mats, Clear kayak, Snorkel gear, Fishing equipment, BBQ, TV/DVD in salon and all cabins, IPod dock, Water maker.